On December 4, 2004 Judy and I were driving down to New Paltz, NY to stay overnight at the Mohonk Mountain House. 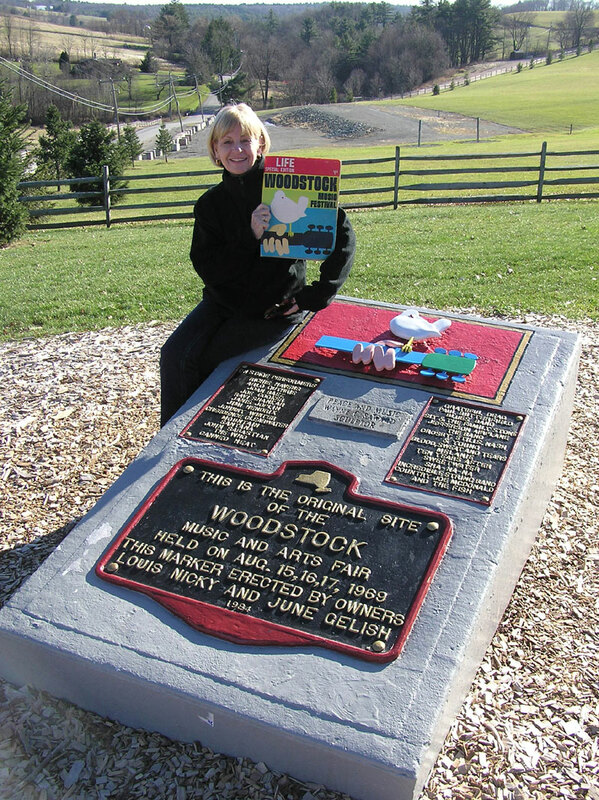 On the way there, we decided to make a side trip to see the original site where Woodstock Festival was held during August 15, 16, 17, 1969. I was lucky enough to go but Judy had decided to take a pass on making the trip at the time. 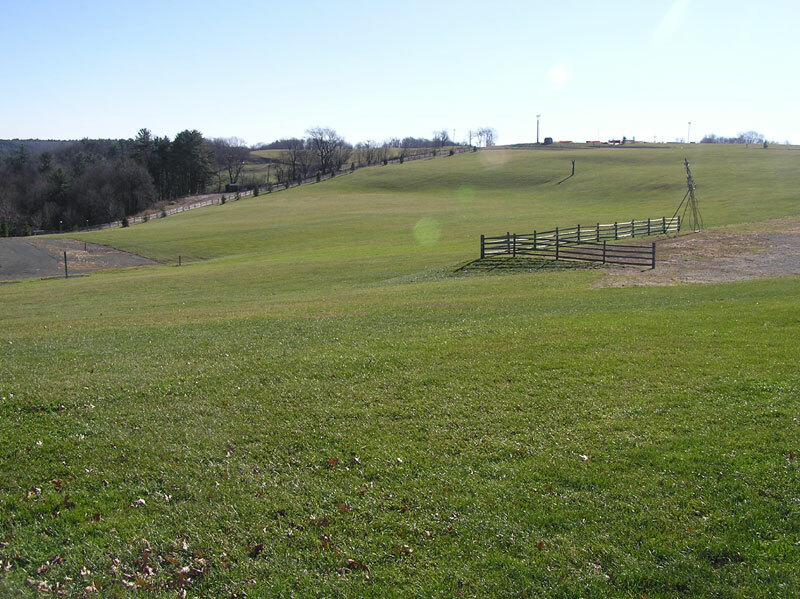 However, it had always remained a place that she wanted to see. I didn't take a camera with me back in 1969, which is probably just as well since I probably would've bartered it for something while I was there. So, after 35 years I was returning and Judy was seeing it for the first time. I have since sold the "Life Special Edition" on eBay. The area over my left shoulder and also shown below is where the stage was at that time. 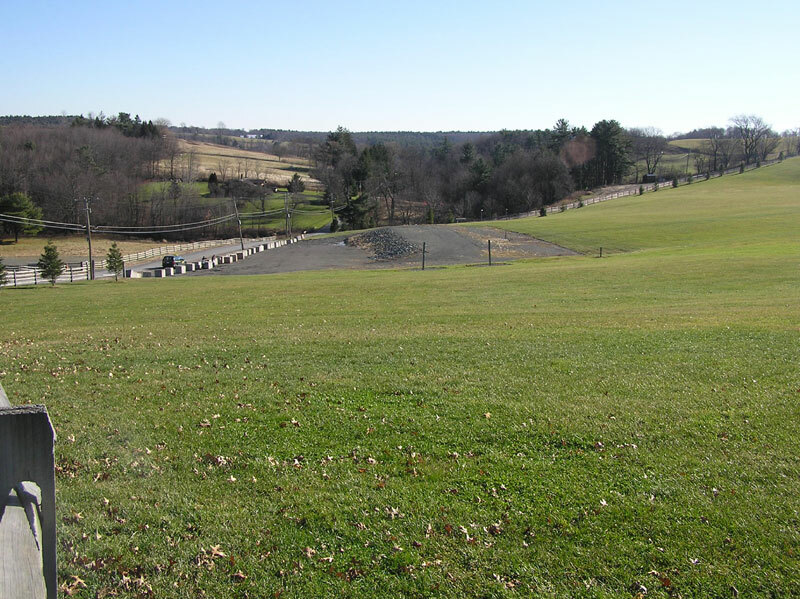 This shows the natural amphitheater enjoyed by this location. Here's what it really looked like so many years ago! 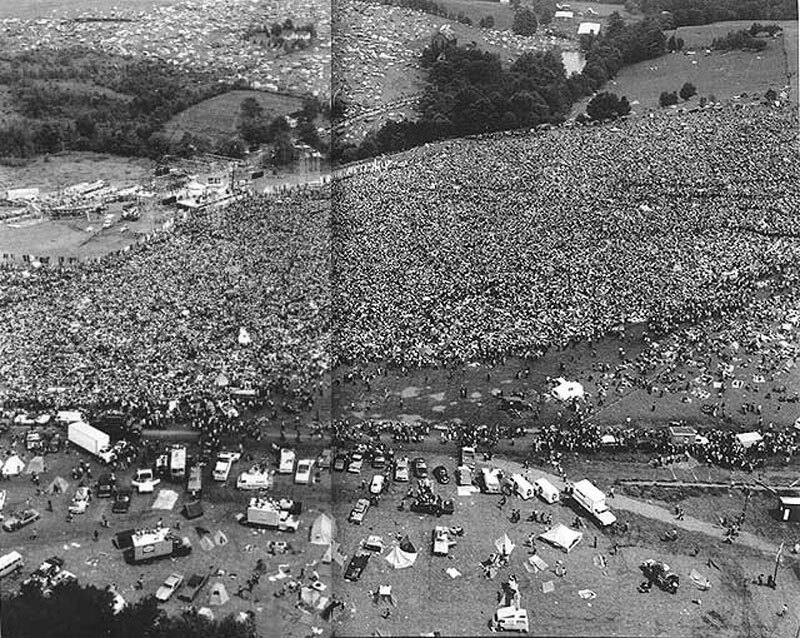 The stage is left center of the crease in the photo and all of those dots at the top of the photo are tents, tarps, cars, whatever. 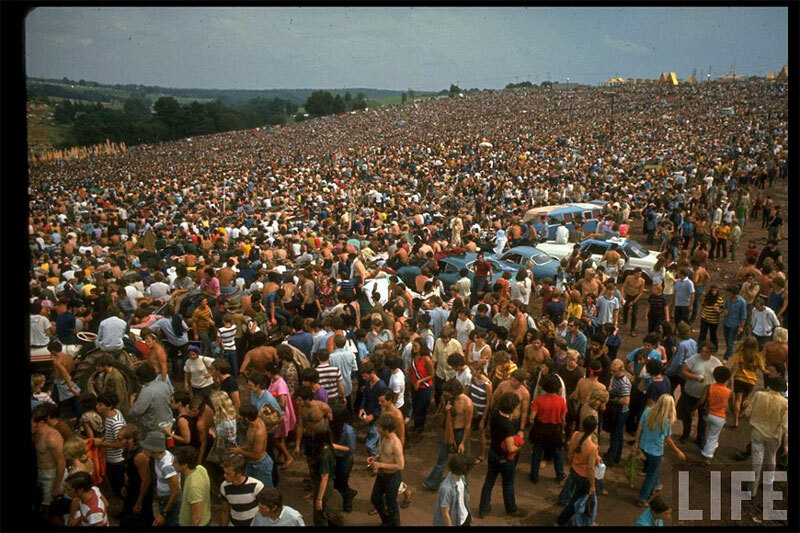 For some additional Woodstock photographs taken by Baron Wolman, click here. 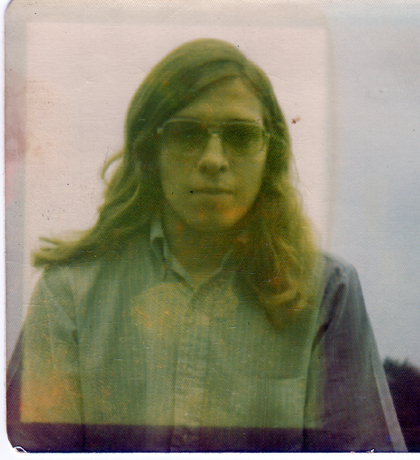 We have very few pictures of what we looked like in 1969, but here are the two best that we've come up with. 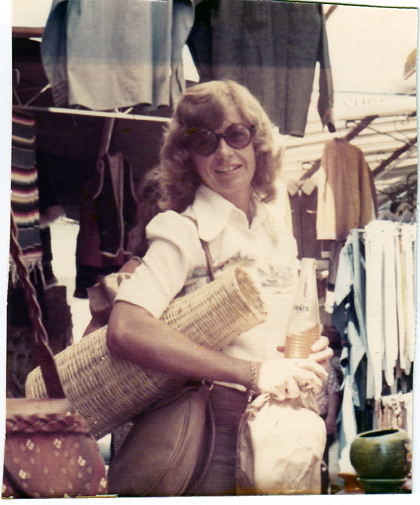 Mine was probably taken somewhere between 1969 and 1971 and Judy's was taken in 1972.